Ulva Goodwillie is a Maori Eco/Nature guide who is passionate about, and absolutely committed to, Ulva Island and its protection. 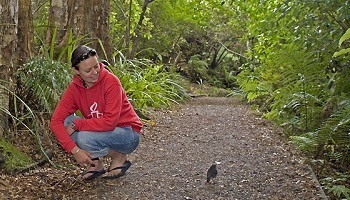 As a predator free island, the plants and native birds have been able to flourish as nature originally intended, and a visit to the island is like stepping back in time. Ulva walks you round at a gentle pace, stopping at Maori Hill with its lovely view across the sea and one of the beautiful beaches. 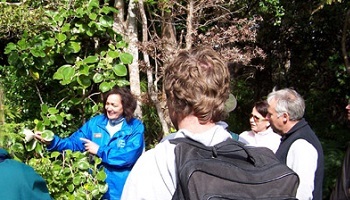 With her expert knowledge and first hand conservation experience, she is able to talk you through the unique flora and fauna, explain the conservation efforts, and answer whatever questions you may have. 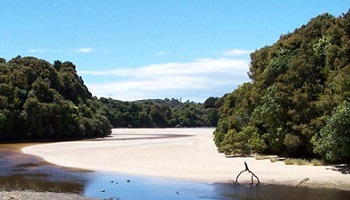 A guided walk is an essential part of understanding not only Ulva Island, but also New Zealand's, natural history.